If you read this blog regularly, you know I live in Maine. 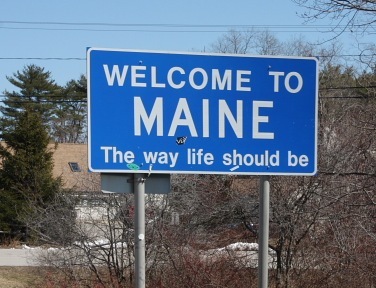 Though I have lived in Maine for almost 12 years, I am “from away.” (This is my disclosure for native Mainers.) I grew up in Massachusetts and spent many summers in Maine. Following is a list I created on SkinnyScoop.com of my favorite events, activities and places to visit in Maine. There are so many awesome things to do in Maine, I actually had to stop myself from adding more to the list. For now, anyway. I will continue to add to it. You can follow it here or on SkinnyScoop, where you can also add to it and comment on the items in the list. I hope you do. It’s my cheat sheet for those traveling in Maine (including me!). So, the question is: What is your favorite thing to do in Maine?